You are here: Home » Category: "Fabrication For AutoCAD MEP"
If you are like me then you have spent alot of time setting up your AutoTag settings so that your ductwork is tagged the way that you like it. While not 100% perfect the AutoTag functionality of the EastCoast CAD/CAM addin can save you an incredible amount of time during the documentation process of your design. So what do you do if you want to move the settings to another pc or migrate the settings to a more recent version of the software? Luckily this is as easy as copying a single file from one location to another. First you open up your My Documents folder and navigate to the EastCoast directory and then open the Fabrication For AutoCAD MEP 20XX that corresponds to the version that you are currently using. Find the tags.xml file and copy and paste it into the version of the software that you would like to use the settings in. Please note that some versions of the software use the same version of AutoCAD MEP so you will not have to take any action when upgrading the software. 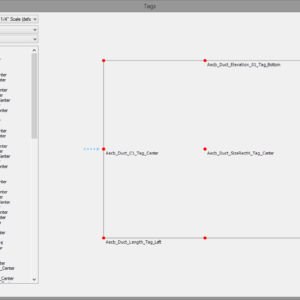 For instance, V6.0 and V6.1 both run inside of AutoCAD MEP 2014. So the Fabrication for AutoCAD MEP folder will be the same for both versions! This means that your settings will automatically appear. However, if you are upgrading from V5.2 to V6.0 or V6.1 then you will need to migrate your settings. You can also use this same procedure to copy the settings from one PC to another PC. You will just have to locate the appropriate folder location in the users My Documents folder. 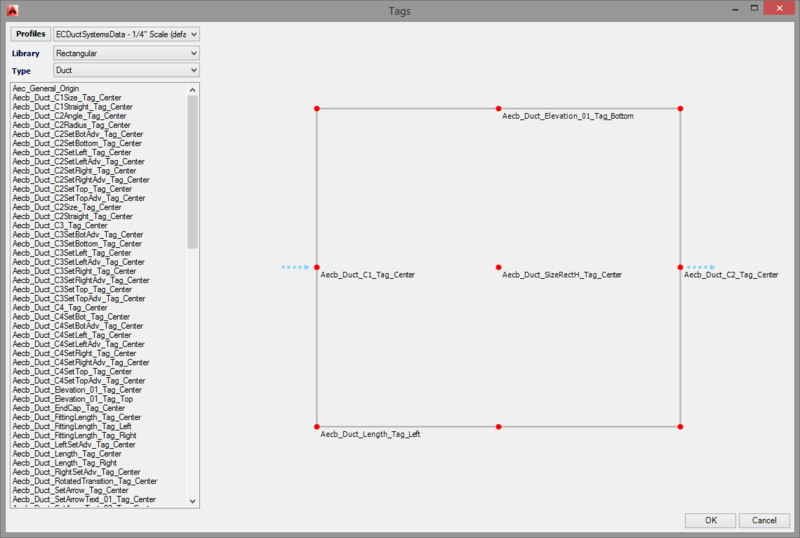 New in Version 6.1 of Fabrication for AutoCAD MEP in the Select a Part dialog box SELECT PART SIZE area, the visibility and order of parameters has been optimized to reduce the need to scroll to the far right to identify differences between fittings. Important information will now list on the first few columns, starting with Part Size Name, Connection Diameters, NamePerMfg, and so on. For example, for elbows, the Angle column has been moved up to the front. This should allow you to find and select your pipe fittings much quicker and easier! 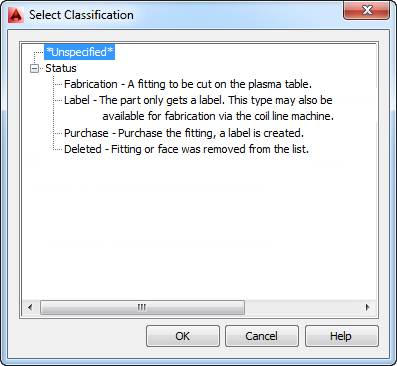 New in Fabrication for AutoCAD MEP V6.1 Eastcoast has added a new classification called status. Selecting the Status Classification on a duct object. When a new EastCoast duct object is placed into your model this classification will automatically be set by the software to the status defined by your specification. This will allow you to create schedules that can quickly and easily select and filter your duct objects for scheduling.